Serve guests at your next cocktail party in stunning style with the Rose Gold Decanter. This sophisticated decanter features a slender stem and tapered mouth for controlled pours. 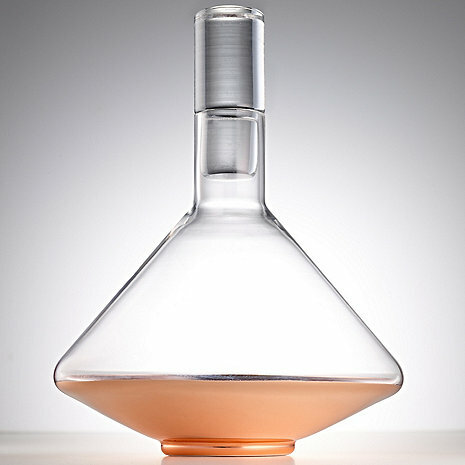 The Rose Gold Decanter will make a beautiful addition to your modern bar service. Hand washing recommended. Pairs wonderfully with the Rose Gold Metallic Stemless Tumblers, Set of 4. I returned this item because it was very lightweight and not as nice as it looked on line. The top was heavier than the decanter and I'm not sure what purpose the top even served.